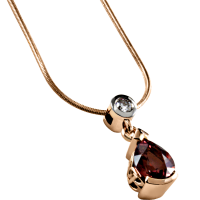 Pear shape Garnet pendant, made with rose gold. Complemented with a diamond bale. Made by Bakalian Brothers with Love.